Bahá’í Symbols “the Greatest Name”, the “ring symbol” and the 9 Pointed star – what do they mean? 2. The ring symbol is a version of the Greatest Name and its design is divided like this: The three horizontal lines symbolize (from top to bottom) the world of God, the world of His Manifestation and the world of humanity. The line that crosses them all vertically symbolizes the Holy Spirit which binds all three worlds. The two stars on either side represents the Twin Manifestations of the Baha’i Faith: The Báb and Bahá’u’lláh. 3. The Nine Pointed Star is a Baha’is symbol that represents the number ‘9’. Why the number nine is relevant to Baha’is can be read below*. 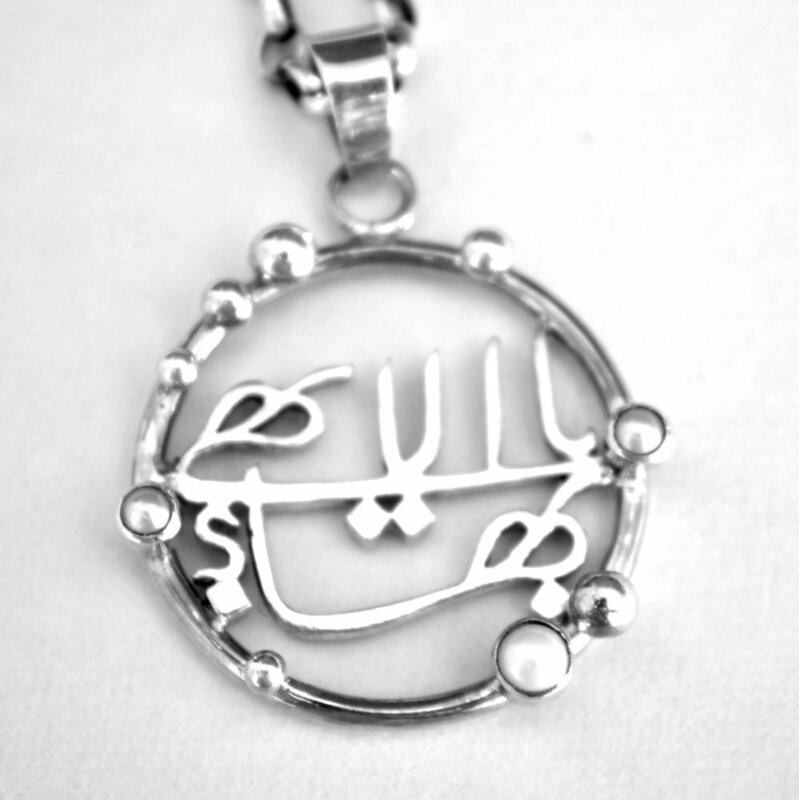 Check out our new range of Bahá’í pendants at great prices on our website. 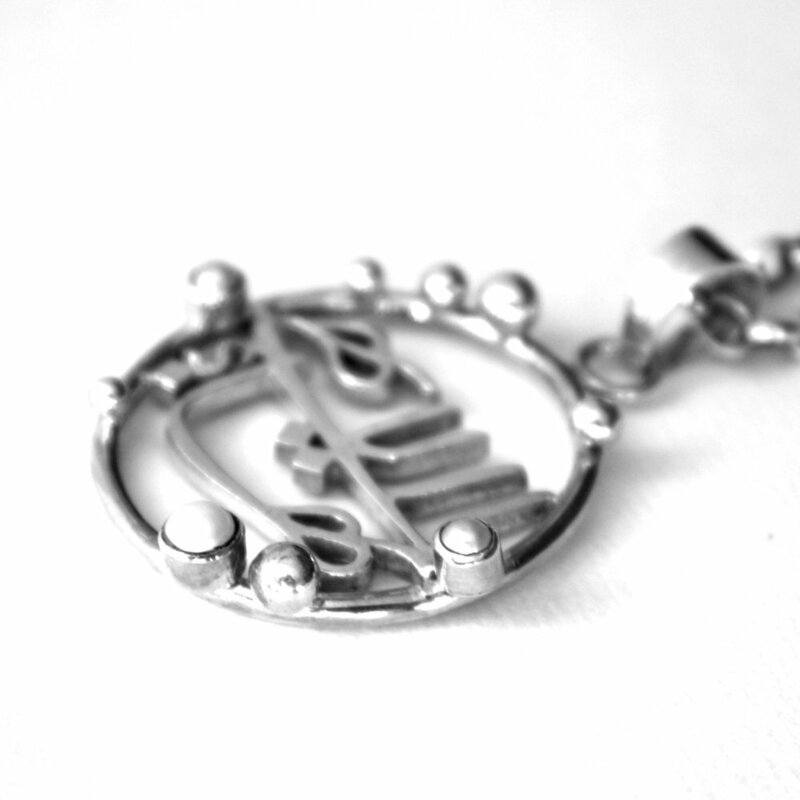 Our newest Baha’i ring and Bahá’í pendant now with new photos! We have now uploaded new photos of our “Rose” Baha’i ring and our “Pearl and gems” Bahá’í pendant. Check the out below and see full item descriptions on our website. 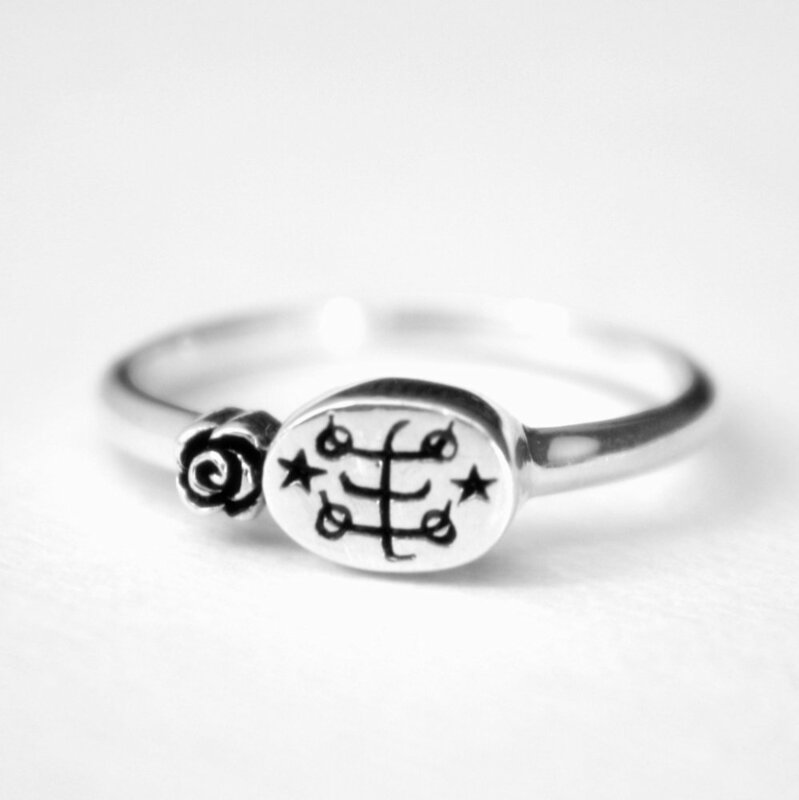 I love, love, love this ring. After 41 yrs as a Baha’i finally a ring I would be proud to wear! – Cheryl. “Thank you for sending the ring so promptly. It is very beautiful and the quality is much, much higher than I had expected for the price. 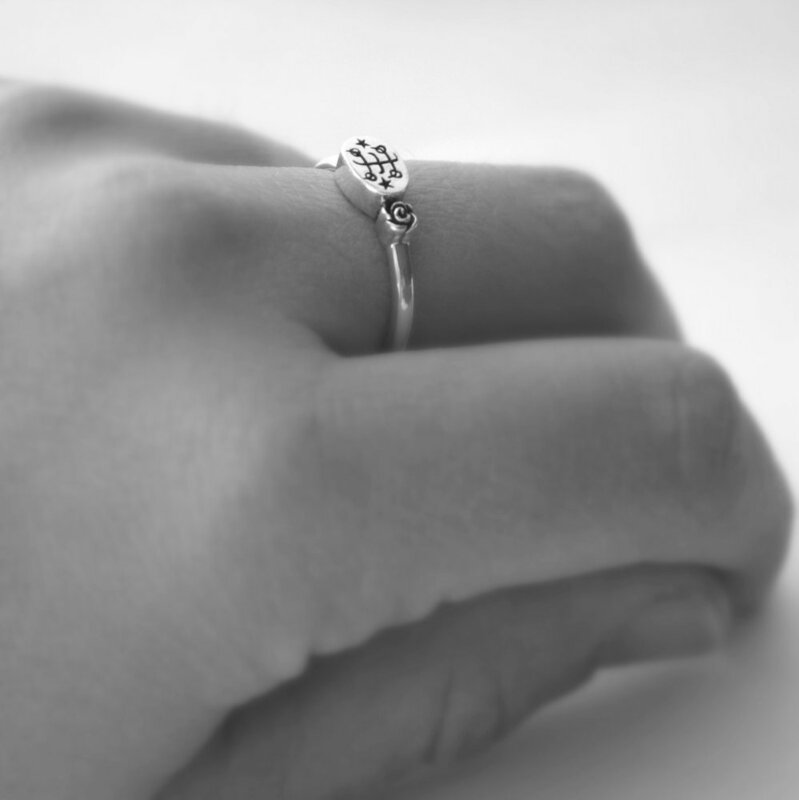 I had only had it on a few minutes when a member of my community came over for a meeting and noticed it saying, “Oh my, that is the most beautiful Baha’i ring I have ever seen! I want one!”” Cheryl, USA.